With over 30 years' experience, Psychic Faith can tell you Past, Present and Future. Psychic Faith has spiritual abilities allowing her to connect with the third eye and guide you through all of life's problems. 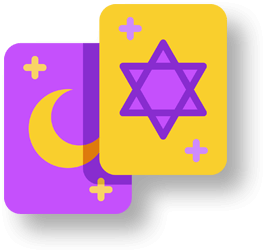 We have many services available for you including: palm readings, crystal ball readings, tarot card readings, past life readings, horoscope readings, candle readings, tea cup readings, pet readings, chakra readings, spiritual life coaching, chakra cleansing/balancing, aura cleansing and even house parties. We are looking forward to hearing from you.